Once upon a time an era ago the team of Mick Sell Racing was non existent. Before Mick became a trainer, a long standing well respected relationship was about to be formed. With breakers and pre-trainers making their way in & out and 3 horses for ourselves waiting for Mick's trainers license to be granted, an opportunity to pre-train large numbers of horses for Lloyd Williams raised the question 'how are we going to keep on top of all the book work with young kids and only ourselves as staff.' The purchase of an Inside Racing magazine provided the answer. 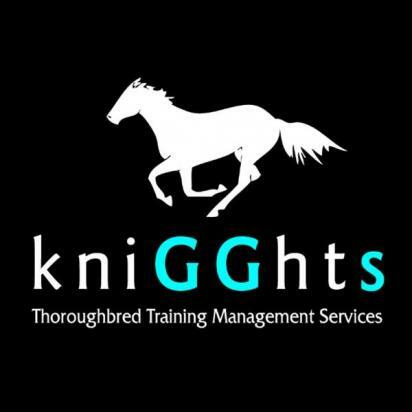 Sitting neatly inside was a brochure for Knigghts Thoroughbred Training Management Services. A relatively new business that provided billing and other services for racehorse trainers. A phone call lead to a meeting and nearly 10 years later Luke Jervis his lovely wife Jules and their team are still the most integral tool in our business. Knigghts came in and stopped Mick from permanently setting up camp by the mailbox while also saving Mel from a straight jacket. Knigghts provide our clients with simpler payment methods, regular invoices, billing solutions, client relations as an addition to our existing personal relationship with clients. By far the biggest testament to Knigghts as a business is the understanding of how the racing industry and it's idiosyncrasies. Through the years we have formed friendships with past and present staff with such strength that phone calls to & from ourselves are answered with tongue in cheek pet names.